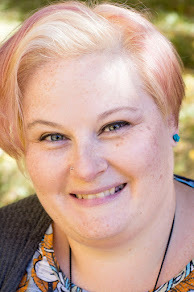 It is that time of year and I am one of THOSE moms! Our elf has come back and he is waiting to surprise Sammy and Jayson. However, before he could start to ice skate into the room, he had to have surgery. 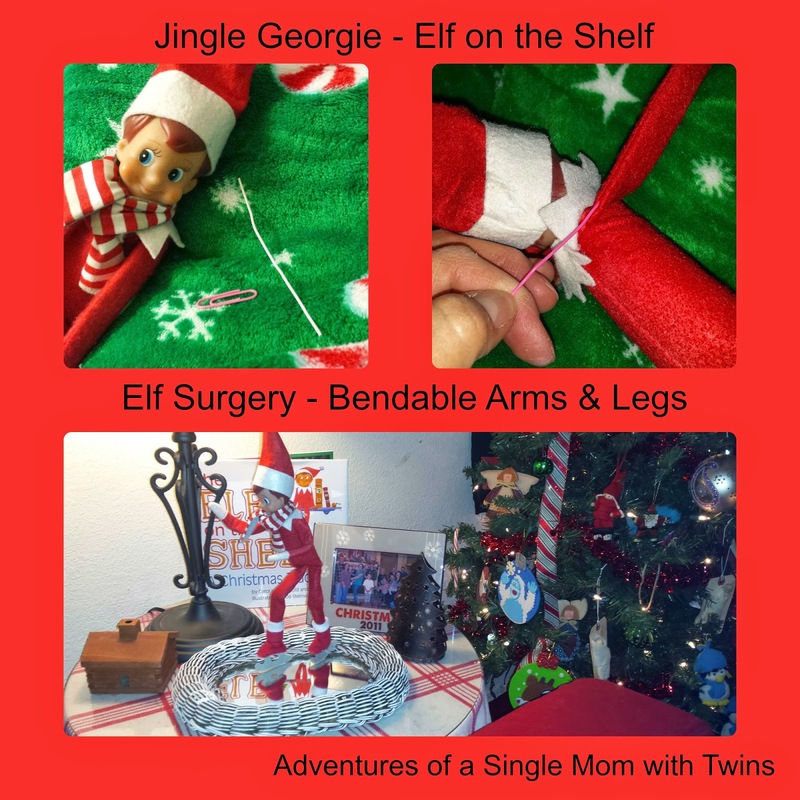 Jingle Georgie needed to have bendable arms and legs to fully participate in his winter games this year. 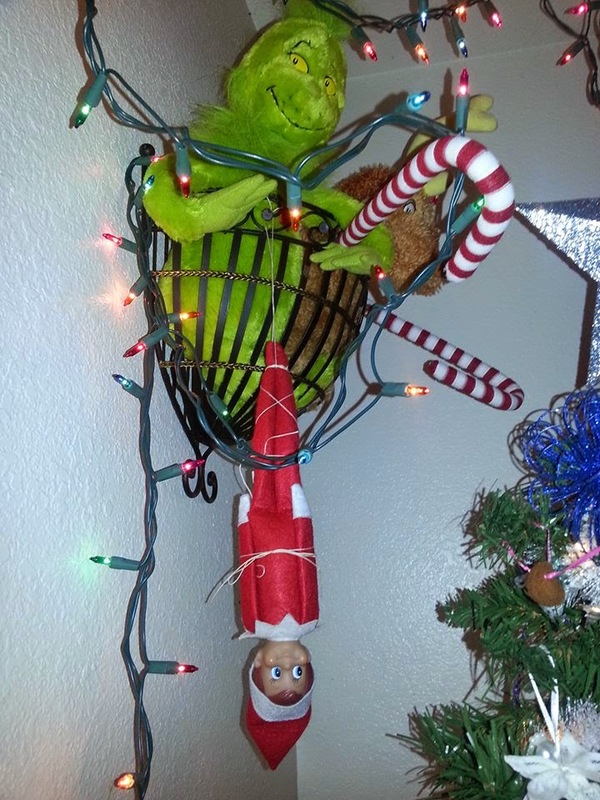 So with the help of a few mini paperclips and some patience, our Elf on the Shelf can now pose for his shenanigans. I used one mini paperclip for each appendage. Just straighten the clip out and then carefully inert it into the seam. Be careful to not rip through the material. Jingle Georgie does not have thick skin. Once his surgery was done, he was ready to play. Our Elf had recently gone shopping to take advantage of the Black Friday sales. He came home with some treats for the boys including pajamas, slippers, mini coloring books, chocolate gold coins, M&Ms candies and most importantly; a new scarf and some ice skates for himself. 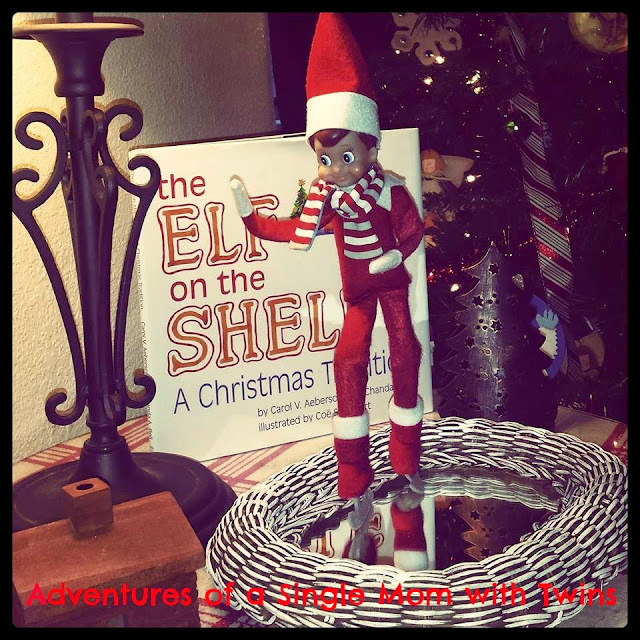 Do you have an Elf on the Shelf at your house? What traditions does your family participate in for Christmas? My boys loved having Jingle Georgie join our family last year. 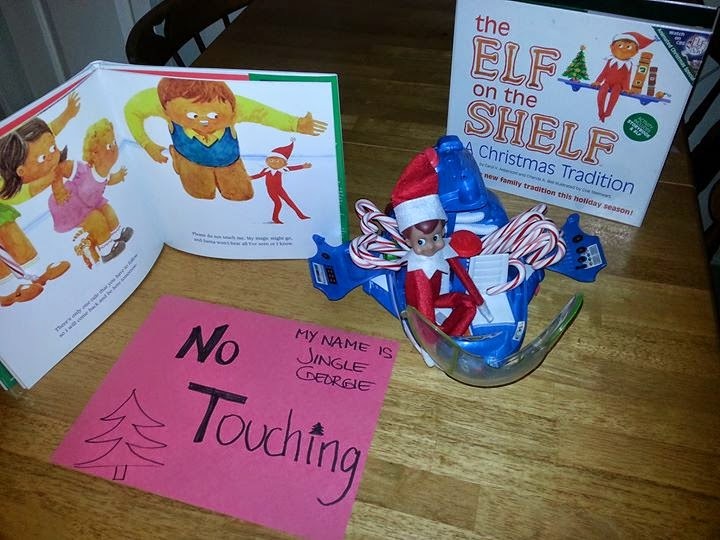 Here are some of the things our Elf did last year while he visited. Sugar Crash! 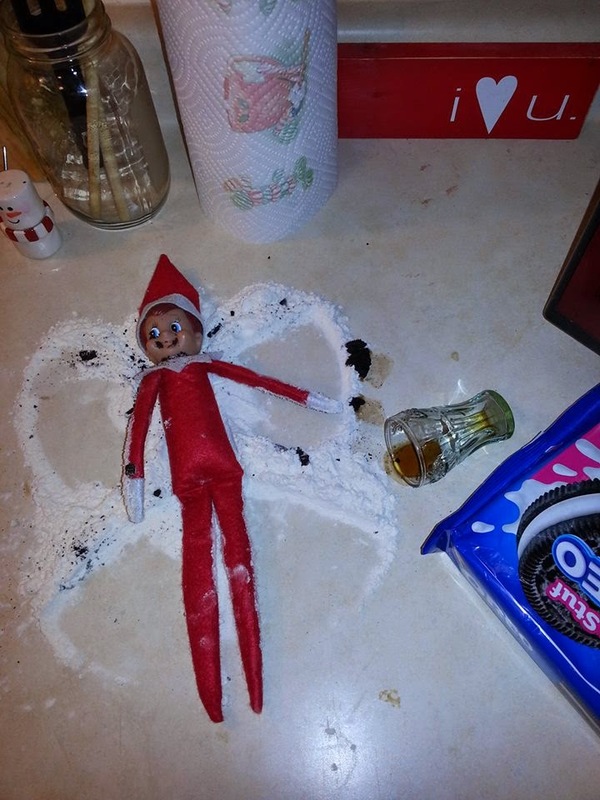 CoCa Cola and Oreo Cookies led to snow angels on the kitchen counter. The Grinch and Max have captured Jingle Georgie! Sledding with his Polar Bear friends. The boys thought an ice skating Elf was super cool. We re-read the book and talked about the No Touching rule. 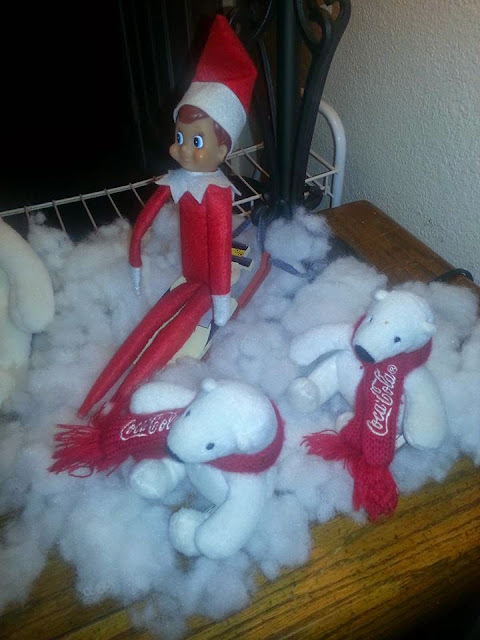 Sam wanted to know if the elf can really hear him and know what is going on. They both wanted to tell Jingle Georgie about what presents they were hoping for under the tree. So after his nightly report to Santa, JG came back to our home. This is where the boys will find him. Jingle Georgie has a list in his hands started with Christmas wishes. He also left a note with new slippers. He knew their teacher gave them permission to wear slippers in the classroom during the winter. Where will we find him for Day 3?? No, really! I need more ideas. Comment here with your best idea from last Christmas.